A vibrant, mission-focused, family-friendly church in the Episcopal tradition. All are welcome at God's table. Kate came to Redeemer as Priest-in-Charge in 2009. 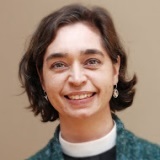 She had previously served as seminarian at Church of the Heavenly Rest, NYC, assistant rector at St. Barnabas in Irvington, NY, and most recently as Rector of Grace Church in Norwood, MA for seven years. Before seminary, she worked in book publishing in New York City. Kate has an M.Div from General Theological Seminary and a B.A. from Williams College. Kate is married to Dave Ekrem, who is the web manager for Mass General Hospital for Children. They have three children: Peter (20), Tom (17), and Lucy (13). On February 9, 2012 Kate officially became the Rector of Church of Our Redeemer! 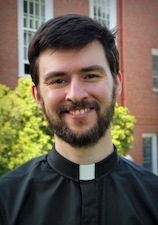 The Reverend Andrew Goldhor began his ministry at Redeemer in July,2013. He is a graduate of General Theological Seminary and the University of Colorado, Boulder. He served as a seminarian at the Church of St. Luke in the Fields in New York City. After college Andrew spent a year in the Episcopal Service Corps, living in intentional community at St. Mary's Church, Manhattanville, and working in the West Harlem community. He grew up in Belmont, MA. 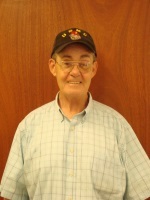 He lives in Watertown with his wife, The Rev. Jack Clark. Dr. Bernadette Colley has directed church music and taught music for over 25 years. Prior to her arrival at Church of Our Redeemer in February 2011 she was Director of Music and Worship Arts at the Pleasant Street Congregational Church in Arlington. There, her ministry was known for its diversity of musical styles and genres from Palestrina to Dixieland, and was enhanced by guest musicians ranging from the Renaissonics to the Revolutionary Snake Ensemble. She founded and coordinated Pleasant Street Choral Concerts with support from Massachusetts Arts Lottery grants, and led worship services including major works by Bach, Buxtehude, Charpentier, Purcell, Ramirez, Saint-Saens, Vivaldi, Handel, and others. As guest conductor of the Nashoba Valley Chorale for its 25th anniversary season, Ms. Colley led an orchestral-choral performance of Beethoven’s Mass in C, and from 1986-96 was the guitarist for the Scandinavian vocal ensemble Stambandet. From 2009-2011, she was advisor to Matimba ya Ripfumelo, a New England based South African humanitarian-service vocal ensemble which presented concerts throughout New England to raise money for AIDS orphans and vulnerable children in South Africa. At the Church of Our Redeemer, Dr. Colley directs the Redeemer Choir and Atrium Singers, incorporates a wide range of instrumental and vocal talents of its members into weekly services, researches and plans music for unique Special Sunday Services, and oversees all aspects of administering and providing a diverse and high quality music program for Redeemer’s Sunday morning worship. 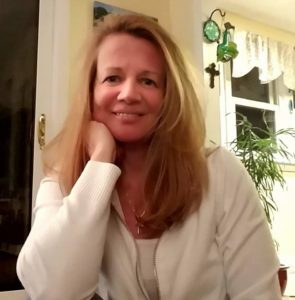 Peggy came to Redeemer in September 2018 and has extensive administrative experience from executive assistant in Corporate 500 companies to office management in smaller businesses. When not at Redeemer, Peggy is the women's ministry coordinator and serves on the Senior Leadership Team of Community Congregational Church. She is passionate about wellness and is a certified health coach, yoga instructor, and runner. Peg lives in Billerica with her husband, two "kids" (young adults now), and beloved dog, Riley. Roy has been the sexton and handyman at Church of Our Redeemer since 2010.